by André de Waal (Maastricht School of Management) and Paul Jansen (VU University Amsterdam) presented during the 3rd European Reward Management Conference 2011, 1-2 December 2011. The ongoing debate about the effects of bonuses on managers’ performance and the role of reward systems in organizations has still not led to a unanimous conclusion among academics and practitioners. 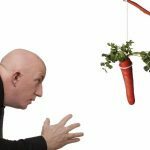 Those in favor of bonuses state that applying bonuses and putting emphasis on monetary rewards increases productivity and organizational performance, while those against bonuses claim that use of bonuses and monetary rewards leads to counterproductive results. A key question often overlooked in the discussion is: How important is handing out bonuses for an organization to become and stay successful for a longer period of time? This paper describes the results of research into the characteristics of ‘High Performance Organizations’ (HPOs) and the role of bonuses and reward systems in creating and maintaining HPOs. The research results show that use of bonuses or implementation of certain types of reward systems have neither a positive nor a negative effect on organizational performance. This may be explained by the fact that reward systems are a hygiene factor for an organization. If an organization does not have an appropriate reward system (whether or not including bonuses) it will run into trouble with its employees and have difficulty improving its performance. If it does – a situation which employees expect and consider to be normal – it can start working on becoming an HPO. Ever since the financial scandals that rocked the business world and the worldwide financial crisis that followed, the debate on the effects of bonuses on the performance of especially managers and the role of reward systems in organizations has divided academics and practitioners alike (Sikula, 2001). The divergence of opinion among academics becomes clear when studying scientific research into bonuses and reward systems. On the one side are the proponents of bonuses who state that use of bonuses and emphasis on monetary rewards increases productivity and organizational performance. For instance, Yao (1997) studied the impact of profit sharing and bonus payment on the performance of Chinese state industries and concluded that over half of the value-added growth of these industries could be explained by bonus incentives. Further, Belfield and Marsden (2003) found, while studying the data of the 1998 Workplace Employee Relations Survey conducted in England, strong evidence that the use of performance related pay enhances performance outcomes, although this relationship is influenced by the structure of workplace monitoring environments. Hollowell (2005), looking at the relationship between high-incentive–based executive pay contracts and long-term firm performance found that organizations with a robust executive compensation structure exhibit commensurate superior long-term stock-price performance. In his view, his findings decide the question: ‘Is executive pay a function of performance or is executive performance a function of pay?’ in favor of the latter. Finally, Lazear and Oyer (2009) recently provided an overview of research into the effect of incentives in organizations. Many of the studies reviewed by them showed that incentives can be a powerful managerial tool for affecting individuals’ behavior in a positive way. Specifically, productivity can be increased using incentives like piece rates. Yet, Lazear and Oyer (2009) also discussed studies that showed that even though incentives worked, in the sense that they had a positive effect on results, they did not always work consistently or with prolonged effects and sometimes even had unintended and unwanted consequences like manipulation of results. On the other side are the opponents of bonuses and monetary rewards. For instance, Bloom (1999) showed that companies with higher pay inequality suffer from greater manager and employee turnover. He also found that major league baseball teams with larger gaps between the highest-paid and lowestpaid players lose more games; they score fewer runs and let in more runs than teams with more compressed pay distributions. It seems that the benefits to the high performers are outweighed by the costs to the low performers, who apparently feel unfairly treated and reduce their effort as a result. Also, Gneezy and Rustichini (2000) found that introducing new incentive schemes in which employees are offered monetary incentives could cause them to perform more poorly than those employees who were offered no compensation. Siegel and Hambrick (2005) showed that high-technology firms with greater pay inequality in their top management teams because of the use of bonuses, have lower average market-to-book value and shareholder returns than firms with more equal management pay. Read the paper ‘The bonus as hygiene factor: the role of reward systems in the high performance organization’ in PDF. Read also the article Do Bonuses Matter?